The annual media production tech expo and showcase, featured manufacturers and product experts from across the country demonstrating the most advanced media workflow solutions in the industry. Guest Speaker was Matthew Wells, Director of Broadcasting for the Oklahoma City Thunder. This free, one-of-a-kind trade show took place in Las Colinas on September 22nd and included demonstrations of advanced workflows as well as special keynote speakers from the media production industry. All guests received a chance to win some awesome prizes and the ability to connect with media professionals from across the entire spectrum of advanced video and audio production. Many Industry Technology Leaders were there and the free Lunch Barbeque was sponsored by AJA Solutions. It’s Digital Resources’ Annual Audio-Visual, Broadcast and Technology Event! This FREE one-day event brings together over 40 industry leading manufacturers, technology workflows and top rated seminars hosted by key industry professionals. This is an excellent way to see the latest products and learn about technology trends & applications. Celebrating their 65th year, the AES Convention once again hosted the world’s largest gathering of audio professionals, attracting attendees from around the globe. This year’s convention was bigger and better than ever, as the top names in professional audio engineering converge for the latest audio innovations through workshops, tutorials, technical papers, booth exhibits and product showcases. Digital Resources EXPO & Solution Seminars 2013 is a free one day industry event running from 9am to 4pm produced annually by Digital Resources. Bringing together the finest manufacturers as well as top rated solution based seminars. The Texas Association of Broadcasters 60th Annual Convention & Trade Show at the Renaissance Austin Hotel in Austin is the largest state broadcast association convention in the nation, with 1,100+ annual registrants and over 120 Vendors in the Exhibition Hall. Special thanks to Dan Sessler and Wray Reed of RF Specialties for co-sponsoring the Annual Engineering Dinner, this year at Iron Cactus. Tektronix presents a Free all-day seminar on Solutions to Today’s Video Delivery and Quality Challenges! AFTER THE SEMINAR GET A FREE TOUR OF THE DALLAS COWBOY’S CONTROL ROOM! During this workshop, you will learn innovative test solutions and current tips on tackling today’s video challenges. Make sure to bring a thumb drive so that you can take home the presentation materials as well as product catalogs and application notes. The seminar will be presented by John Bradford, Senior Video Systems Application Engineer for Tektronix, supporting Analog/Digital Video, MPEG, and RF. John has over 40 years of video experience. Prior to working at Tektronix, John’s experience includes broadcast, field service, post production and integration design. Tektronix is proud to announce that attendance to our VideoInsight Seminar counts towards 1 credit of category H of the Society of Broadcast Engineers recertification program. 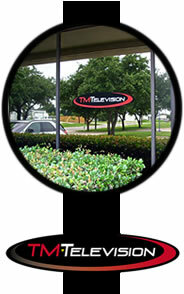 TM Television invited you to come check out their second annual Technology Expo! right on the heels of NAB. If you didn’t make it out to Vegas or you missed speaking with your favorite manufacturer, here’s your second chance – hope you didn’t miss it! NAB Show & Conference April 6 – 11, 2013 / Exhibits April 8 – 11. From Broadcasting to Broader-casting®, The NAB Show® has evolved over the last eight decades. While the solutions at your fingertips have changed to keep pace with consumer habits and technologies, your aspirations to produce and deliver memorable content have remained constant. From creation to consumption, NAB Show has proudly served as the incubator for excellence – helping to breathe life into content everywhere. April 18-19, 2013 – Free all-day CBNE Training! Tulsa SBE Chapter 56 partnered with the Oklahoma Broadcasters Association for an Engineering Conference including an all day IP Networking for Broadcast Engineers & CBNE Prep Topics Class with Wayne Pecena on Thursday April 18th from 8:30 AM – 4:30 PM. Friday April 19th, if you were registered before April 1st, you could take the CBNE Exam on-site. Held in February each year, the NATE Conference & Exposition includes educational sessions where attendees acquire crucial knowledge and information about current and relevant topics from industry experts. The NATE Annual Conference & Exposition is recognized as the premier event of the year for the tower erection, service and maintenance industry, providing education, marketing, networking, and the development of cohesion among NATE members. Visit the NATE Conference page here. On Wednesday, February 6, 2012, DRI’s Open House at Digital Resources featured JVC Professional Products. A reception immediately followed the event in the Lieutenant Governor’s Reception room (directly behind the Senate Chamber). In lieu of flowers, plans are underway for a fitting tribute to be announced at a later date. The Radio Advertising Bureau and National Association of Broadcasters have joined forces to bring an unprecedented event to the radio industry. Digital Resources EXPO & Solution Seminars 2012 is a free one day industry event running from 9am to 4pm produced annually by Digital Resources. Bringing together the finest manufacturers as well as top rated solution based seminars. This event is the largest state broadcast association convention in the nation, with 1,100+ annual registrants. Questions? Call (512) 322-9944 or go to TAB.org. Tektronix presented an all-day seminar on Solutions to Today’s Video Delivery and Quality Challenges! The event featured SBE ReCertification Credit, Free Parking, Lunch and a Stadium Broadcast Center Tour. Presenter Scott Howard, Sr. Application Engineer has been with Tektronix for 32 years holding technical support positions in manufacturing, product marketing, Government marketing and sales. He consults and teaches test methodologies for Broadcast, Studio, Cable and Manufacturing throughout North America. Scott demonstrated innovative test solutions and current tips on tackling today’s video challenges. The Morning Session covered Baseband Video: Set Up, Post Production, & Transmission covering aspects of camera set up/shading, Color and Gamut correction concepts, and the Digital Transmission Path. In the Afternoon Session: Compression, Transcoding, and File Based/Multiplatform Delivery along with MPEG Test & Monitoring. After Lunch, the seminar switched gears slightly to MPEG Troubleshooting(QoS/QoE), Impacts of Transcoding, and File Based Media Delivery, with specific examples in diagnosing File Based, MPEG, & Physical Layer issues. The discussion continued in our EAS Webinar Series on Wednesday, June 6, from 3 to 4 p.m. CT! The event was hosted by Manny Centeno of (FEMA) and Suzanne Goucher of NASBA and (MAB). – IPAWS staff – an update on the Primary Entry Point (PEP) Expansion Program. CE industry technical experts met at the 2012 Spring Technology & Standards Forum to network with engineering leaders across many products categories as they consider, develop and finalize CE standards. CEA standards set the precedent for product safety, interoperability and performance optimization in an effective and efficient environment. The SBE has partnered again with the NAB to produce the annual NAB Broadcast Engineering Conference held as a part of the NAB Show. The event included an SBE Ennes Workshop on Saturday (Conference registration required) and SBE Members received some Special RatesThe NAB Show® is the world’s largest event covering filmed entertainment and the development, management and delivery of content across all mediums, multiple platforms and countless nationalities. The Show is the home to solutions that transcend traditional broadcasting and embrace content delivery to new screens in new ways. Drawing from his experience as a chief engineer, and in writing Radio World’s popular Workbench column, John Bisset runs engineers through a series of inspections and tasks to prepare your site for warmer weather. Along the way, he offers some engineering nuggets to improve your maintenance efficiency too. The completion of this webinar from Webinars by SBE qualifies for 1 credit under Category I of the Recertification Schedule for SBE Certifications. The event was held at theFarmers Branch Conference Center in the Dr. Pepper Stars Center. Seminars and Exhibits from 20+ vendors ran all day starting at 10am. Things wrapped up at 5pm and many stuck around for TM’s Avid @ The Crossbar reception immediately following the show. It was Educational, Entertaining, Informative and FREE! 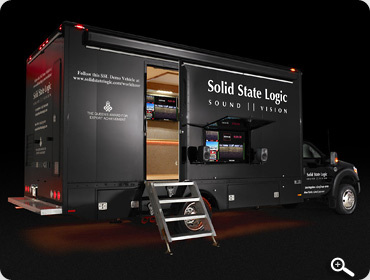 SSL teamed up Genelec, Miranda, Savant and RTS to build a state of the art demo unit in a truck acoustically designed by Russ Berger . Thanks to SSL and the guys for stopping by. This entry was posted in Earlier Events and tagged Earlier Events. Bookmark the permalink.